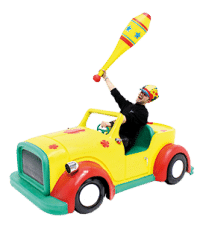 Check out our Peter Pan theme; it’s packed full of fantastic props for your Peter Pan themed event or party. 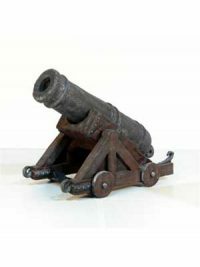 This includes lots of pirate related props, including a pirate galleon, a cannon and traditional rum barrels. 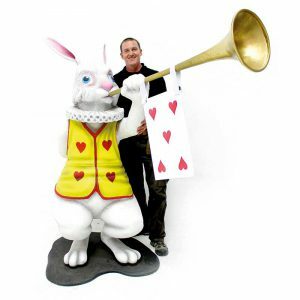 We also have lots of London themed props, including a city skyline cutout and roof top chimneys, all of which would look great at your Peter Pan themed event. Giant Foliage Chandelier for hire. This is a stunning, not to mention very large, chandelier that will look amazing at your event. 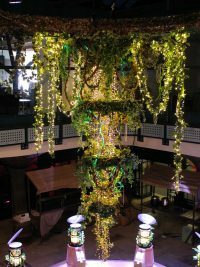 The chandelier is lit with warm white LED’s and is covered in trailing ivy and jungle vines. Shown here at an event at Tobacco Dock you can see just how effective this chandelier is as a focal point at your event or party. The chandelier can be hired with either a 3m drop or 5m drop and can be supplied at a width between one and three metres. it will need expert installation. 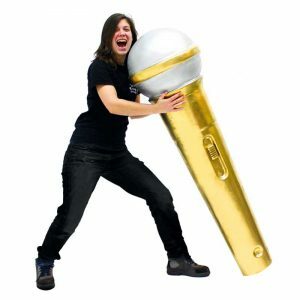 Please note that this prop is supplied ready to hang but will require installation by a specialist AV or rigging company. 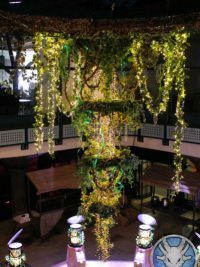 Shown here as the 5m version (available under code SCN195) at an event at Tobacco Dock, you can see just how effective this chandelier is as a focal point at your event or party. The chandelier can also be hired as a 5m drop and can be supplied at a width between one and three metres. it will need expert installation. 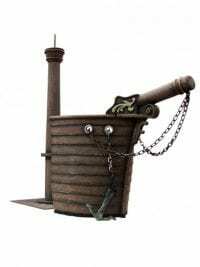 Pirate Galleon Ship Prop to hire. 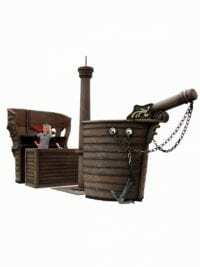 This fantastic fully 3D prop can be used as a traditional Galleon dressed with pirates but cunningly can also be used as a bar area, as shown, making it perfect for any pirate themed event or party. The stern even has shelves for drinks whilst the bow has a small seating ledge. The prop assembles in minutes and does not requires any tools. If you wish, only part of the ship can be hired. Simply ask your sales rep for details. Pirate Galleon Ship (Front Half) to hire. 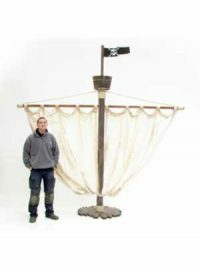 This fantastic fully 3D prop is the front half of a traditional Galleon and can be dressed with pirates making it perfect for any pirate themed event or party. 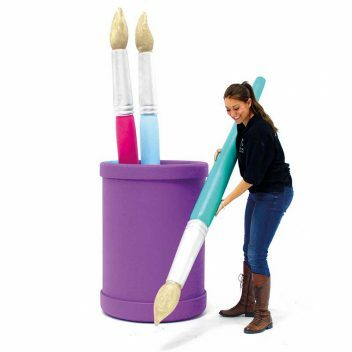 The prop assembles in minutes and does not require any tools. You can obviously hire the full galleon too here! Ahoy Captain!!! 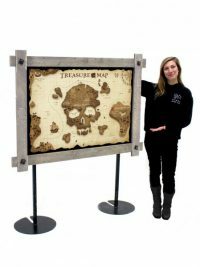 This fantastic prop really completes the pirate theme and would be a great focal point for your event. 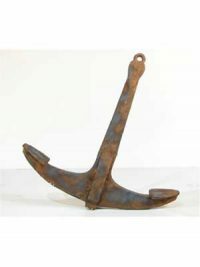 Rowing Boat Prop to hire. 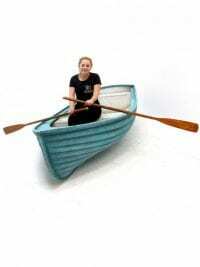 This is a fully 3D rowing boat in blue and white that will look great at any seaside, Mamma Mia or water based theme party or event! The prop comes complete with a pair of oars. We've also got a brown rowing boat and a green rowing boat available for hire (see below). 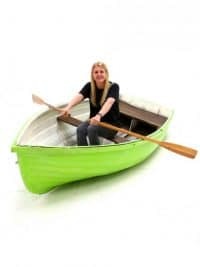 This is a fully 3D rowing boat painted in a Caribbean green colour that will look great at any seaside or water based theme party or event! The prop comes with a pair of oars. We've also got a brown rowing boat and a blue rowing boat available for hire (see below). Rustic Dugout Canoe Prop to hire. 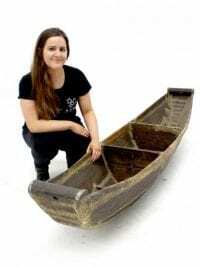 This fully 3D Rustic Dugout Canoe is really versatile and suitable for any African, Jungle or Pirate themed party or event! 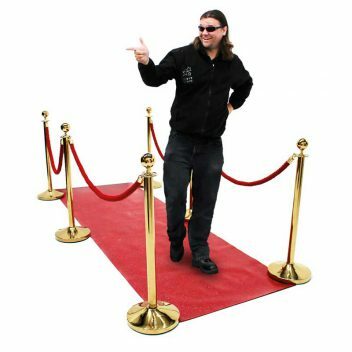 Fill it with market produce or greenery, or simply position with other props to help create your themed setting. 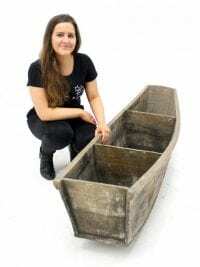 This is a fully 3D weathered brown rowing boat suitable for any seaside or water based themed party or event! 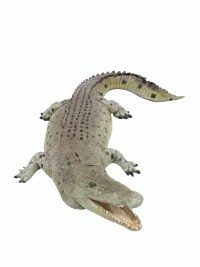 Add some authenticity to your event with this stunning 10ft replica crocodile. Our crocodile is perfect for lots of themes, so whether it is a Peter Pan, African, Australian or a Jungle themed event or party you should definitely invite our crocodile along to join in the fun, or maybe just to scare your guests! 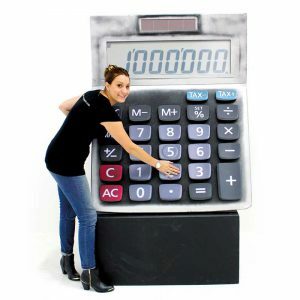 A great prop to welcome your guests into your pirate themed event. 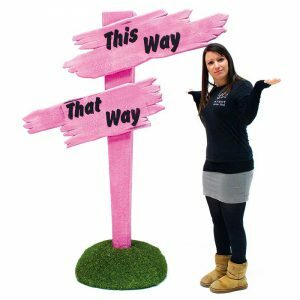 At an additional extra cost, we can personalise the sign for your event! Please call to discuss. We Also offer a customised version of the Pirate Welcome Sign. Our fantastic hand crafted log fronted bar is suitable for so many themes, from Apres Ski or Winter Wonderland through to Fairytale events! 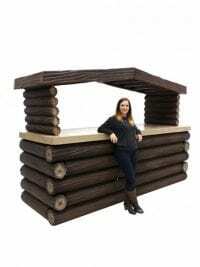 Use it as a traditional bar or a registration desk, it's up to you! You also have the option to book out the Log Fronted Bar with a snowy roof (pictured) under code BAR20. Rowing Boat Coffee Table to hire. 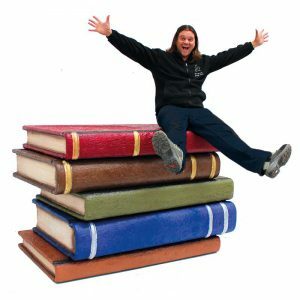 This is a coffee table with a difference! This rowing boat coffee table would look great at any seaside or water themed party or event! 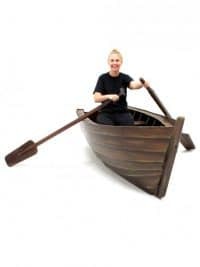 This is a unique piece of furniture that even comes with a pair of attached oars! 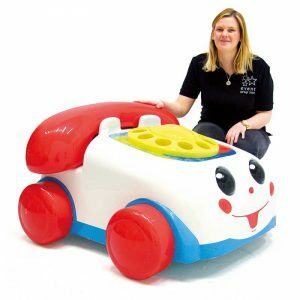 If you want a normal sized rowing boat check out our other options here. Giant 3D Tankard prop to hire. Just the one then! 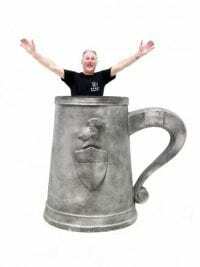 This tankard is suitable for any Apres Ski, Bierfest or Medieval themed event or party and has a removable top. 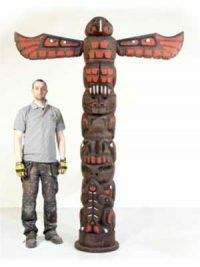 A giant 3d totem pole hand carved and painted to give a really authentic look that is sure to wow your guests! Deceptively light for quick and easy installation. Indian Chief Figure Prop to hire. 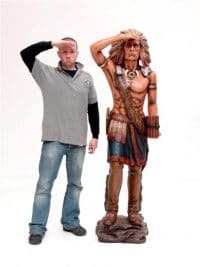 Freestanding 3D statue of an Indian chief, suitable for any Wild West Western theme party or event. 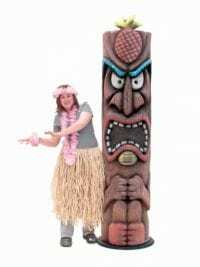 Tiki Statue prop to hire. 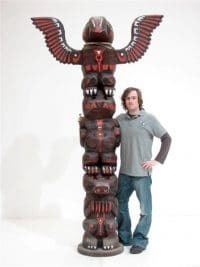 This freestanding prop has been carved entirely in 3d and is full of personality and character in the way that has traditionally defined the Tiki Statues of the cultures of the Pacific Islands. Price quoted is PER statue. Note – We cannot gaurantee which particular design is supplied of the two. 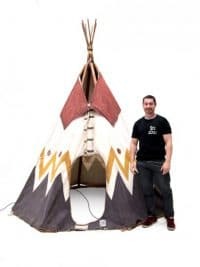 Indian Tipi Prop to hire. Our authentic Tipi is as real as it gets! It is fully 3D with lots of space inside to entertain your guests and consists of a wooden frame wrapped in a tough tarpaulin with Red Indian decals. 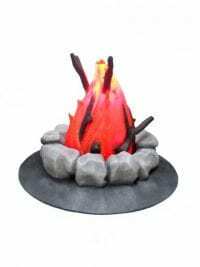 The price quoted is for the Tipi only, but rugs and cushions and our camp fire prop are available as an optional extra – please check these out below or in our soft furnishings theme. Medieval Bow Stand to hire! 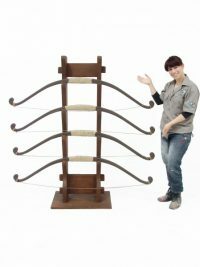 This Medieval style Bow Stand would make the perfect addition to any Medieval or Wild West themed event! 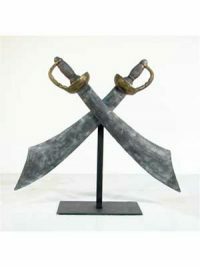 Why not check out the rest of our Medieval themed props to see what else we can offer? 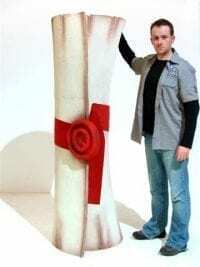 Giant Scroll Prop to hire. This 3d freestanding prop with giant wax seal is perfect prop hire for any graduation event or medieval or pirate themed event. 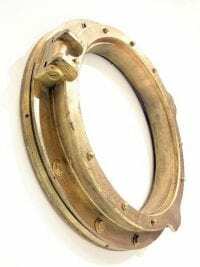 Large Gold Porthole to hire. Fitted with a bracket allowing this prop to be hung, this 3d prop is perfect prop hire for any cruise or nautical themed event. 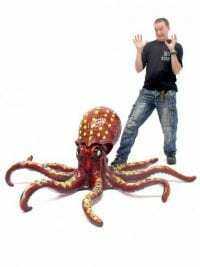 Life-size Octopus Prop to hire. Perfect for any Under the Sea themed event or party. 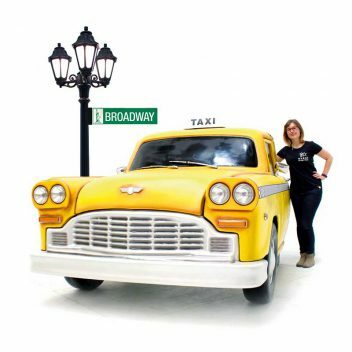 This prop is fully 3D and highly detailed. 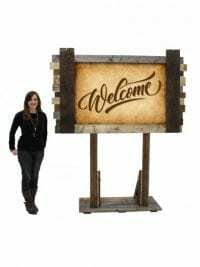 Wooden Pallet Welcome Sign to hire. This fantastic rustic sign has been hand crafted in our workshop and would look great in many different themes from Industrial to Farm, Pirate or Caribbean. We Also offer a customised version of our Rustic Wooden Pallet Sign. Welcome Sign Seaside Montage to hire. 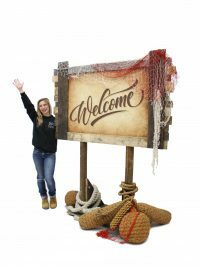 This fantastic handcrafted rustic sign comes complete with a package of seaside accessories (pictured) to create a themed welcome sign that would look great in many different themes. 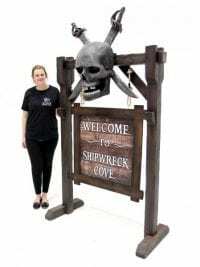 So whether your event is a Pirate theme, Seaside, Peter Pan or Caribbean theme, this Welcome Sign Seaside Montage will look the part. 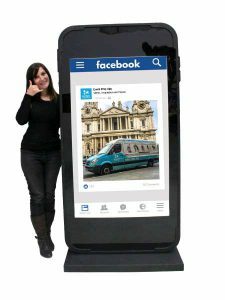 The sign can also be customised with your company logo or personalised text – simply speak to one of our sales reps for details. Safari Bar (Full Bar) to hire. Wow! 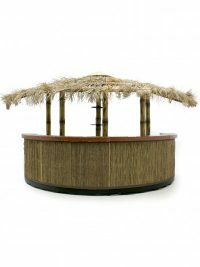 Take a look at this stunning large scale Safari Bar, complete with bamboo uprights and paneling and a fully thatched roof. 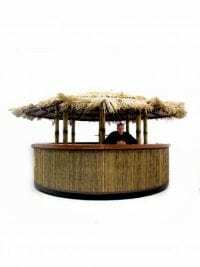 This bar will look amazing and really help to set the scene for your guests at any African, Caribbean or Jungle themed event or party. Want to add the lights and extra items you can see in the pictures? We can also supply a fantastic dressing kit at an extra cost; simply speak to your sales rep for details. This bar is also available as a half bar under prop code BAR75. Please note that this bar requires assembly, although no tools are required. 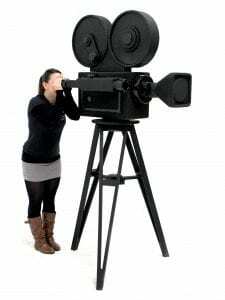 If hired on a dry hire basis, you must please ensure that you have crew available to assemble it. Please note that the hire price is for the cost of the bar only and not the extra items you can see in the photographs. As stated above a dressing kit is available for a small extra charge. Please check with your venue prior to hiring this item that you are OK to use it as it has a dried grass roof… fire officers have been known to be unhappy about this material being used. Safari Bar (Half Bar) to hire. Want to add the lights and extra items you can see in the pictures? We can also supply a fantastic dressing kit at a small extra cost; simply speak to your sales rep for details. This bar is also available as a full circular bar under prop code BAR74. Please note that the hire price is for the cost of the bar only and not the extra items you can see in the photographs. A dressing kit is available for a small extra charge. A bar with a difference! Crafted in our workshop, this bar would look fantastic in many different themes from Industrial to Farm, or from Pirate to Caribbean. Looks great too with our Crate Back Bar (pictured and available to hire separately). Please note that the price quoted here is for one section of bar (although several sections can be placed together to form a longer bar) and that the sides, front and top of the bar will be delivered separately to the bar framework for you to assemble on site yourself. Crate Back Bar to hire. 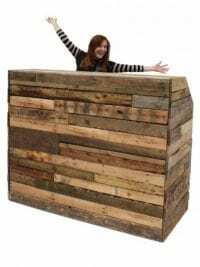 This is a back bar with a difference, made from rustic, aged crates that will create a fantastic look across many different themes, from Industrial to Pirate, or from Market to Caribbean. The prop consists of two columns of crates that are attached together via a simple wing nut. The taller column can be positioned on the left or right, whichever suits you! Why not hire two sets of these to create the quadruple unit pictured opposite? 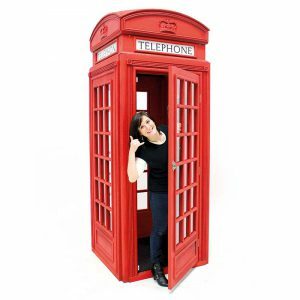 Or how about just the single unit (pictured) if that suits your space better? Single Crate Back Bar to hire. 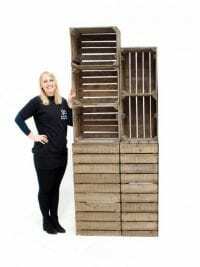 Looks great with our pallet bar (pictured and avaiolable to hire separately). 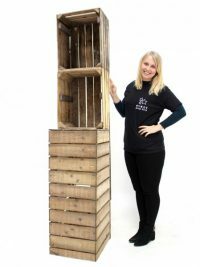 This prop consists of a single column of crates but if you have the space why not hire a double, triple or quadruple set of these (pictured opposite)?